The Society of Friends (Quakers) – The Friends (Quakers) were originally the followers of George Fox. In an atmosphere of a state religion of conformity, George Fox, an English lay preacher, about 1647 began to preach the doctrine of “Christ within”. There was resentment toward ecclesiastical authority and Fox preached that there was one authority, Jesus Christ, and that this authority was to be known directly in the human heart. People flocked to hear him preach. Over 1000 people were present when he preached from a rock above Sedberg on his way to Swarthmoor in 1652. Fox did not intend to establish a separate religious group. His followers formed groups and eventually organized into the Society of Friends. During the 1650’s they began building meetinghouses. The Friends were persecuted from the time they began. They refused to take oaths and preached against war, even to resist attack. The refusal to take an oath of allegiance was illegal – tantamount to treason. It was also illegal to hold religious meetings other than those of the established church. The Quakers met openly, rather than in secret like many dissenters. As a result many were imprisoned, including most of their leaders. George Fox was in prison from 1664 to 1666. In the late 1660’s and 1670’s, Fox spent much time organizing the Friends groups around the country. Monthly Meetings were established, as were Quaker marriage procedures and record keeping. William Penn was sent to Ireland to look after family estates. In 1667 he heard Thomas Loe preach; he became Quaker as a result. He began writing many books and pamphlets. He was imprisoned in the Tower of London where he wrote “No Cross, No Crown”. After his release in 1669, he was again in Ireland where he succeeded in obtaining the release from prison of all Quakers in Ireland. In 1681 he petitioned the King for the grant of a tract of land to the West of New Jersey, in lieu of a debt still owed to his late father. This was the beginning of the colony of Pennsylvania. Our Quaker ancestors left Ireland for America in 1768. Jessie Hinshaw (1720 – 1797) – He was born on November 25, 1720, the son of John and Elizabeth (Belshaw) Henshaw. Jessie married Abigail Marshall on November 1, 1745 they had seven children. They were Quakers. Jessie and Abigail migrated from Northern Ireland to North Carolina in 1768. Quaker meeting records on 2-5-1768 says “William Henshaw signified to this meeting that he and his brother Jess, with their families intend to remove from this to America and desire our certificate. Thomas Dawson and Jas Pillar are desired to make the needful enquiry concerning them and return acct. how thay find things to next preparative meeting which is appointed to be held the 26th of 2nd mo.” An entry on 3-11-1768 shows: “Certificates being drawn for Jess Hinshaw, Absolem Hinshaw and William Hinshaw with their families, also for Alice Hinshaw, the same was signed in this meeting. Johah Shaw is desired to record copies of said certificates and deliver the originals to said Friends.” Jessie, Abigail and their two children were received as members at the Cane Creek Meeting in North Carolina on 2-4-1769. Jessie died on April 29, 1797 and Abigail died on March 18, 1806. John Hinshaw (1747 – 1800) – Son of Jessie and Abigail Hinshaw was born in County Tyrone, Northern Ireland on August 11, 1747. He immigrated to North Carolina with his parents in 1768. He married Ruth (Pike) Wiesner, the widow of Michael Weisner, on February 24, 1776. They were Quakers. John and Ruth had seven children. Ruth died on December 2, 1795. John married Anne (Pike) Philips, the widow of John Philips, on August 16, 1797. John died on September 22, 1800. Benjamin H. Hinshaw (1782 – 1866) – Benjamin H. Hinshaw was born on December 14, 1782, in Randolph County, North Carolina. 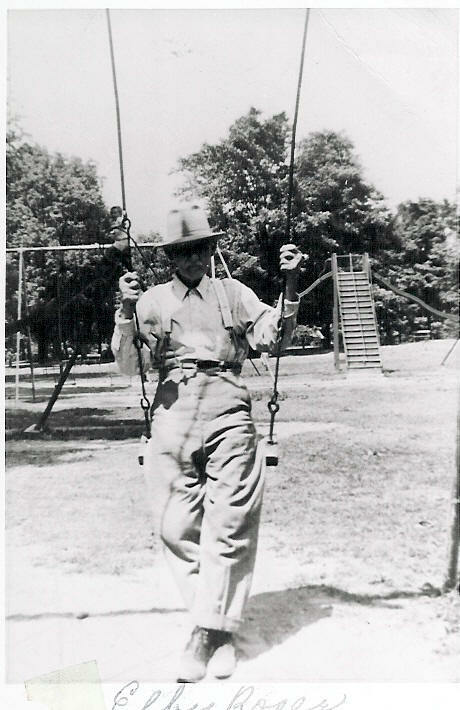 He was the son of John and Ruth Pike Weisner) Hinshaw. He married Annas Bowman on January 15, 1807 in North Carolina. They had twelve children, all who lived into adulthood. In September of 1832, he sold his farm in North Carolina and moved to Indiana. Many Quakers living in southern slave states moved to non-slave states, including Indiana, because of conscience. Benjamin and Annas were probably in this group. Benjamin bought eighty acres in Greensboro Township and then after a number of years moved to the town of Greensboro. Quaker meeting notes state on November 23, 1843, that Benjamin and Annas were complained against for “joining the Anti-Slavery Friends”. In 1843, a separate Quaker Anti-Slavery Meeting was formed; Benjamin and Annas and most of their family joined this group. Annas died on November 30, 1865, in Greensboro, Indiana. Benjamin died the following year, July 1, 1866, at age 83. His oil portrait (painted by his niece) hangs in the Henry County Historical Society Genealogical Rooms. Benjamin Franklin Henshaw (1820 – 1887) – Benjamin F. born on August 8, 1820, in Randolph County, North Carolina, was the son of Benjamin H. and Annas (Bowman) Hinshaw. In 1832 he moved to Indiana with his parents from North Carolina. He was a blacksmith and merchant in Dunrieth, Indiana. He married Margaret Jane Morgan on September 27, 1843, in Henry County, Indiana. They were Quakers. Benjamin and Margaret had six children. Seth Hinshaw – (1818 – 1906) – He was the son of Benjamin H. and Annas (Bowman) Hinshaw. Seth was a farmer and engaged in team hauling as a young man and later was a merchant in Greensboro. He married Sarah Gregg on March 29, 1838. They had six children. He and Sarah were strong Quakers. Sarah was a teacher and taught in Hancock, Wayne and Henry counties. About 1838 he purchased eighty acres of land in the woods in Henry County, which he cleared and farmed. With a great deal of hard work he added two additional eighty-acre tracts. In 1862 he erected a house in Greensboro and retired from the active pursuit of agriculture. Seth was an ardent Republican. He cast his first presidential ballot for William H. Harrison and in his younger days was very active in the campaign work of his party. He was elected and served as one of three trustees of his township and acted several times in the capacity of Supervisor. As Supervisor he superintended the construction of three schoolhouses. Sarah died on August 10, 1882. He then married Martha Beeson on November 18, 1883. Seth died on December 31, 1906. Elias Henshaw – (1830 – 1900) – Elias was the son of Benjamin H. and Annas (Bowman) Hinshaw. He was a blacksmith. In the 1850 census of Greensboro Township, Henry County, Indiana, he is living in the household of his brother Benjamin. He married Angeline Lewis on November 16, 1853. Angeline died the next summer on June 9, 1854. He then married Emaline Hall on July 3, 1856. Elias and Emaline had seven children, five who died in infancy. Emma was a Presbyterian, which resulted in Elias being “disowned” by the Quakers on July 24, 1856. During the civil war Elias served as a private in Company A, 105th Indiana Infantry – Morgan Raid Minute Men. This company was mustered into the state service only on July 12, 1863 to repel the Morgan Raid and mustered out July 18, 1863. Elias died on April 24, 1900, in Knightstown, Indiana. William Henry Roser (1839 – 1910) – William Henry Roser was born on February 14, 1838 in Warren County, Ohio, the son of Evan Roser, he was a Civil War veteran. Prior to the war, William was a schoolteacher and he farmed during the summer months. He mustered into service on November 12, 1861, in Company E, 69th Regiment of the Ohio Volunteers under Captain David Putman. He was appointed Corporal on December 20, 1861. In his discharge and pension records he is described as 5 feet 8 ½ inches tall, black hair, gray eyes. During his service with the 69th Regiment, his regiment was involved in a significant engagement at Gallatin and in action with Morgan. The 69th was also engaged in the siege of Nashville; during this period, in October 1862, William became ill with typhoid fever and was sent to Hospital No. 13 at Nashville. In December, during the Battle of Stone Mountain, he was given command of 120 convalescents and sent to the trenches every night to guard Nashville from a Confederate attack. He caught a cold and contracted pneumonia in the trenches. Still sick, William was detailed to help set up hospital No. 19 and then he assisted with the wounded until he was no longer able. He was in Hospital No. 19 until his medical discharge in February 1863. He enlisted again for 100 days of service with Company A, 152nd Ohio Volunteers on May 1, 1864 and mustered out with the company on September 2, 1864. Col. David Putman, formerly Captain of William Roser’s Company E in the 69th Regiment, commanded this Regiment. They were employed on the skirmish line in Virginia to guard wagon trains and relieve veteran soldiers, who were needed at the front. In Hunter’s raid down the Shenandoah Valley, the 152nd had charge of a provision train of 214 wagons, and marched from Martinsburg to Lynchburg, on the old Cumberland pike. It then marched over the Blue Ridge Mountains to White Sulphur Springs, where it had its main engagement. From this point it marched to Webster, VA, a total distance of about 535 miles entirely on foot. He married Rachael Smith on September 22, 1864 in Dayton, Ohio, at the German Reformed Church. They had three children. They moved to Illinois for several years and then back to Ohio, before settling finally settling in Indiana. He died on December 30, 1910, in El Paso, Texas, while wintering there at his daughter and son-in-law’s (H.H. and Jennie Nail). Rachael died on August 8, 1922 in Indiana. 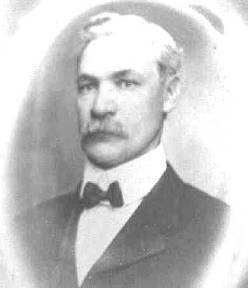 Benjamin Albertson (1845 – 1906) – He was born on July 21, 1845, the son of William B. and Mary (Davis) Albertson. He married Lenora Henshaw on December 26, 1866. They had six children. Benjamin and Lenora were Quakers. Benjamin died on April 12, 1906, in Penn Township, Jay County, Indiana. Lenora (Henshaw) Albertson (1848 – 1928) – Born on October 10, 1848, she was the daughter of Benjamin F. and Margaret (Morgan) Henshaw. She married Benjamin Albertson on December 26, 1866. 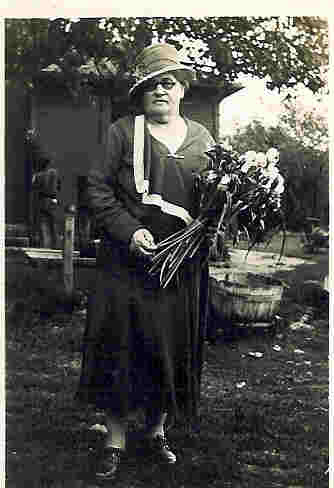 Lenora died on October 22, 1928 in Jay County, Indiana. Elby Roser (1872 – 1945) – Born on December 5, 1872 he was the son of William H. and Rachel (Smith) Roser. He married Angie Lena Albertson (Lena), the daughter of Benjamin and Lenora (Henshaw) Albertson, on March 24, 1900. Elby was a farmer in Jay County near Pennville, Indiana. He had a racetrack on a field on his farm where he trained horses. 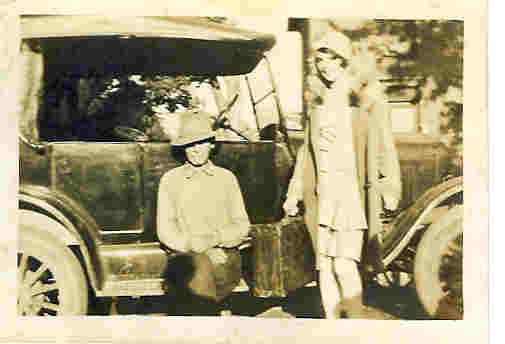 In 1929 at the start of the depression, Elby and Lena lost their farm. They moved to Wells County to a farm near Poneto, Indiana. Elby loved horses and continued to train and race horses in Wells County. Later, Elby’s son Ralph worked the farm while Elby continued to train and race horses. Lena was very active in the Blackford Methodist Episcopal Church attending weekly. She is described as a fun loving person, full of joy. Lena died on Apr. 12, 1940. Elby died on April 27, 1945. He was living with his daughter Lula in Fort Wayne, Indiana at the time of his death. John’s birth and death dates are estimates in all sources, no primary sources have been found. John may have been alive as late as 1784 or after, as his son William in a letter written in 1784 from North Carolina, indicates an expectation that his parents are still alive at that time. Letter sharing his personal remembrances of Elby and Lena Roser written to Bob Krepps, from Vaughn “Pat” Hoover (Elby & Lena’s Son-in-law) dated Nov. 30, 2001. The photos are compliments of Vaughn Hoover.